All tools listed below are designed to give you instant feedback as a teacher. Each has its own unique place in the classroom. It is important that you explore and play before using them in the classroom. ENJOY! 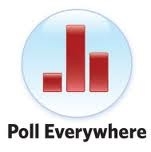 Poll Everywhere allows you to create a quick survey of your audience. Create questions that cover the main ideas of a reading. Socrative: This web based tool allows you to create interactive lectures, and receive quick feedback. The "Exit Slip," is great because it allows you to have downloadable Excel File of student responses. Have an on-going "back channel" discussion during class lecture. Allow students to post questions, allow students to post resources. During student presentations allow peers to ask questions of the presenter in real time. Today's Meet is a powerful tool to include the audience in a presentation. Aww "a web whiteboard," is a collaborative real time whiteboard that you can share with all students at once. They can add text, or draw. I think it would be great to experiment with in a math classroom. 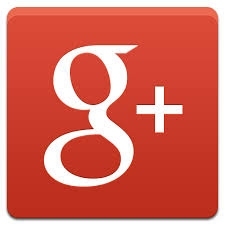 You have been exposed to Google Drive for sharing files with colleagues and students. However, you can also create web based documents that can be shared with a whole class, groups of students, or only between teacher and student. This provides a great collaborative platform for notes, research, essay writing, project planning, data collection, and wide array of other activities. Twitter: This is probably not the best tool to use during class time just yet, but it provides a great platform to encourage students to follow your classroom content in the real world. For example, ask students to search #biochat and they wil find a wealth of resources on biology.